It’s now known as Yaoshania pachychilus following publication of the new study by Yang et al., the generic name taken from Dayao Mountain (Dayaoshan) in Jinxiu County, Guangxi Zhuang Autonomous Region, southern China, where this locally endemic species is known only from a handful of headwater tributary streams. This species was initially included in the genus Protomyzon where it remained until 2004 when Kottelat found sufficient geographical and morphological differences between members of the group inhabiting the island of Borneo and those from mainland China to warrant their separation. The genus Erromyzon was thus erected to accommodate the mainland fishes of which there currently exist four described species, while the Bornean representatives were retained in Protomyzon. Since Y. pachychilus does not occur in Borneo it could not be included in Protomyzon but Kottelat could not conclusively assign it to Erromyzon either because he was unable to examine any specimens during his research, a situation that has persisted until publication of this new research. 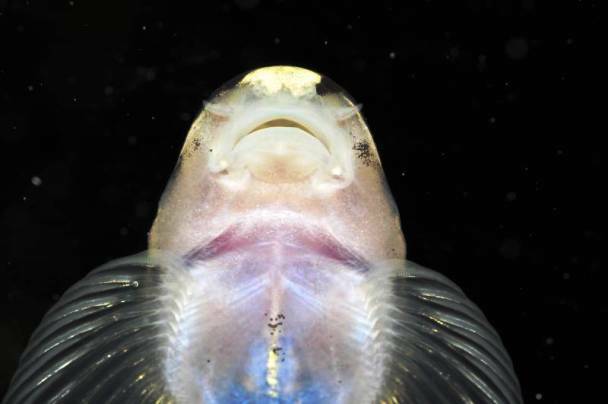 Yaoshania is distinguished from all other balitorid genera by possession of a unique enlarged lip lamina at the corners of the mouth, connecting the upper lip and maxillary. The lamina is a flange of skin originating under the lateral part of the upper lip and continuous with the maxillary barbel (Yang et al. 2012). Other characters useful to diagnose the genus, but not unique to it are: gill opening large, with the ventral extremity reaching lower extremity of pectoral-fin base; upper lip and rostral fold separated by a groove, rostral fold with four notches to accommodate rostral barbels; two pairs of rostral barbels and one pair of maxillary barbels; a small fleshy lobe present posterior to each maxillary barbel; pectoral fin with one simple and 17–18 branched rays; pelvic fin with one simple and 8–9 branched rays; side of body lacking vertical blotches in adult; 71–75 scales in the lateral line. For further information please refer to the full, open access paper: Yang, J., M. Kottelat, J-X. Yang and X-Y. Chen2012. Zootaxa 3586: 173-186. 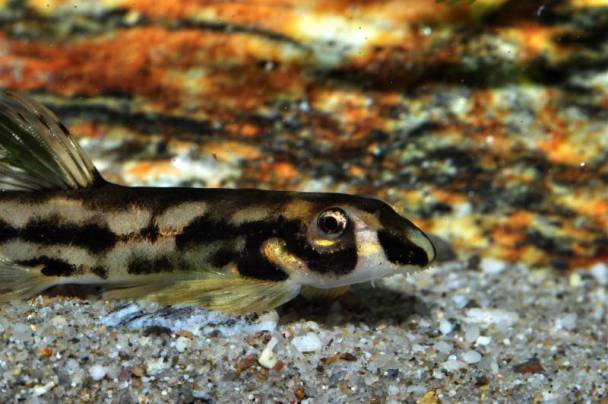 Yaoshania and Erromyzon kalotaenia, a new genus and a new species of balitorid loaches from Guangxi, China (Teleostei: Cypriniformes).